Happy first day of fall! Y'all, I've been waiting for this day for a while! Don't get me wrong, I love summer, but I also love sweaters, boots, apple cider, crisp weather, and fall decorating!!! Don't mind me while I whip out my collection of ten million decorative pumpkins this weekend (kidding... sort of). I really love fall decor, and I especially love finding ways to decorate on a budget. 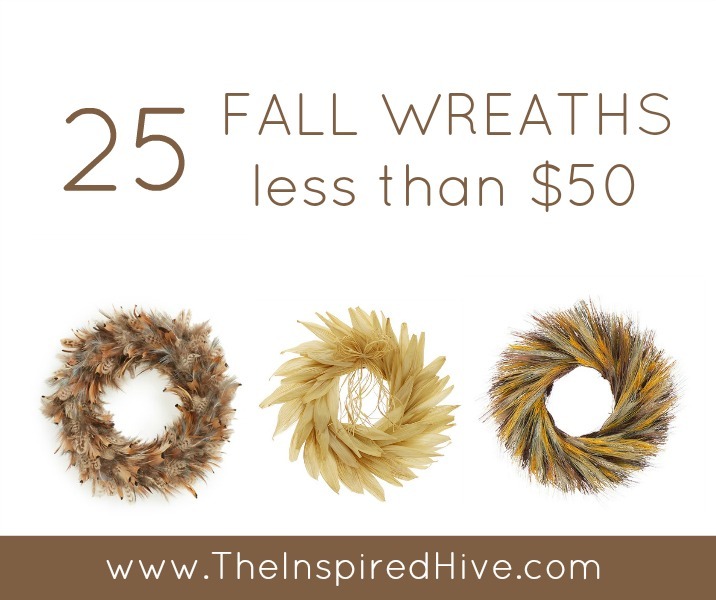 In celebration of fall decorating, I've found twenty-five beautiful fall wreaths that are all under $50. Affordable and pretty? Sounds good to me! Ahhhh! I have to get shopping right away and order of these beauties!! 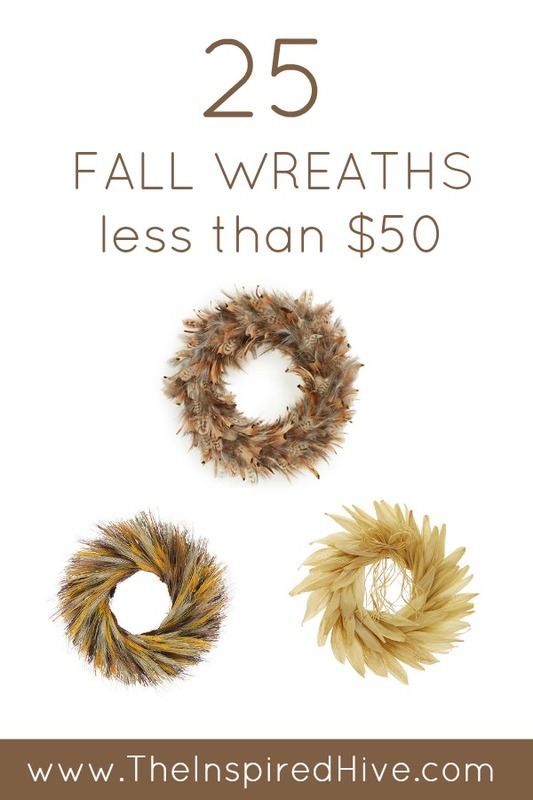 What's your favorite place to buy seasonal wreaths?